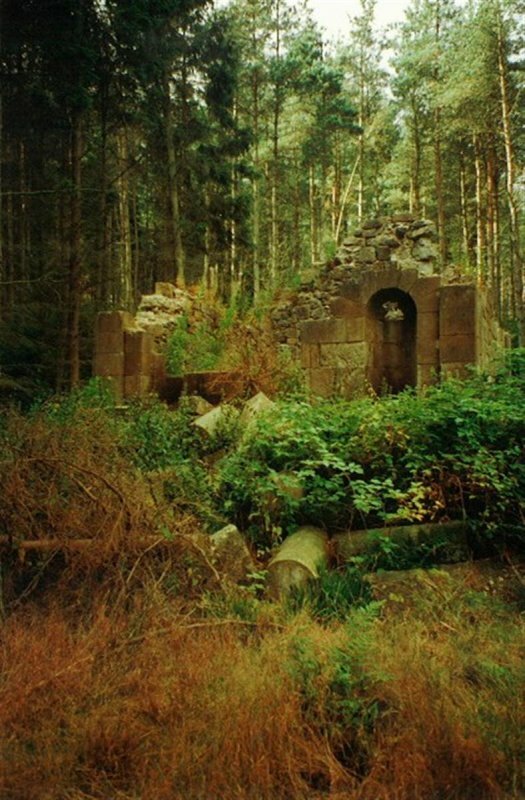 Former single chamber pedimented temple summerhouse, situated on prominent site in landscape, now in semi-ruinous condition (2011). Ashlar to exterior, rubble interior. 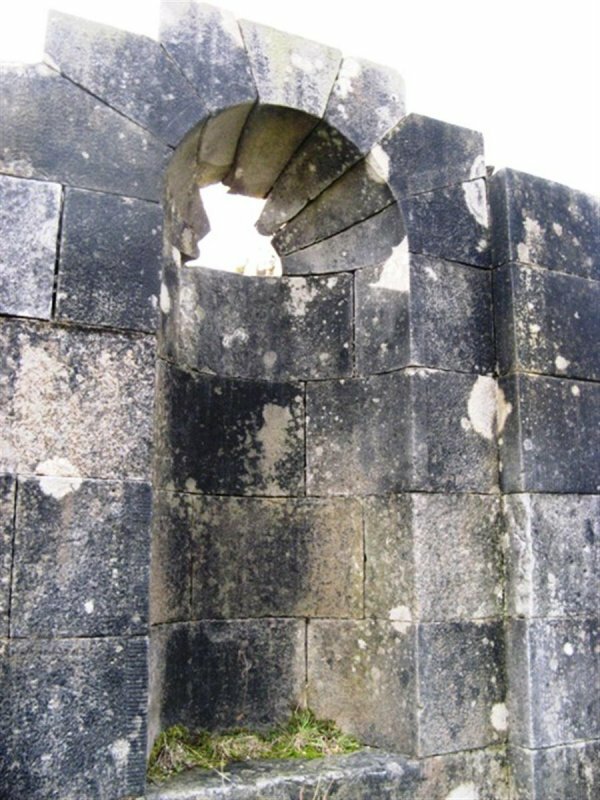 Round-arched niche to W. Ashlar gatepier with pedimented coping to N.
February 1992: External inspection reveals the temple to be derelict and in danger of collapse. 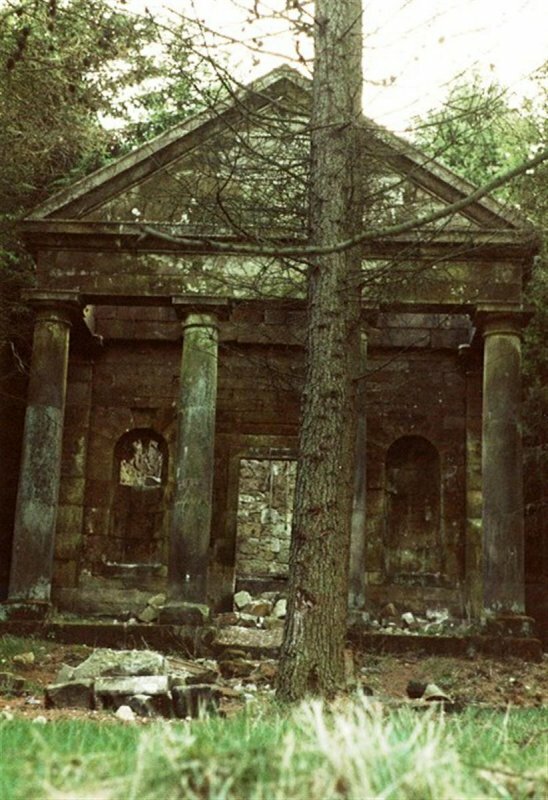 September 1996: External inspection reveals that the temple has been greatly dismantled, with the front portico now fallen down adjacent. 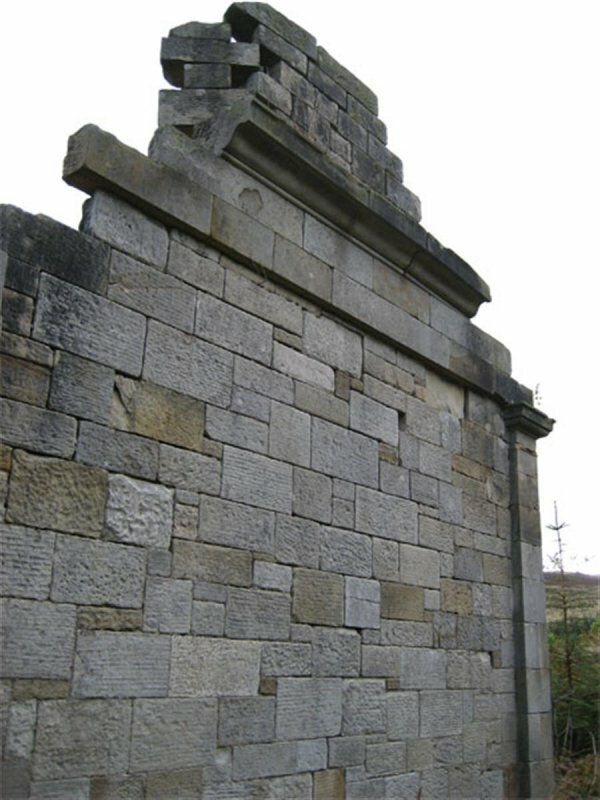 October 2007: External inspection reveals little to remain of the temple except remnants of walls and rubble. 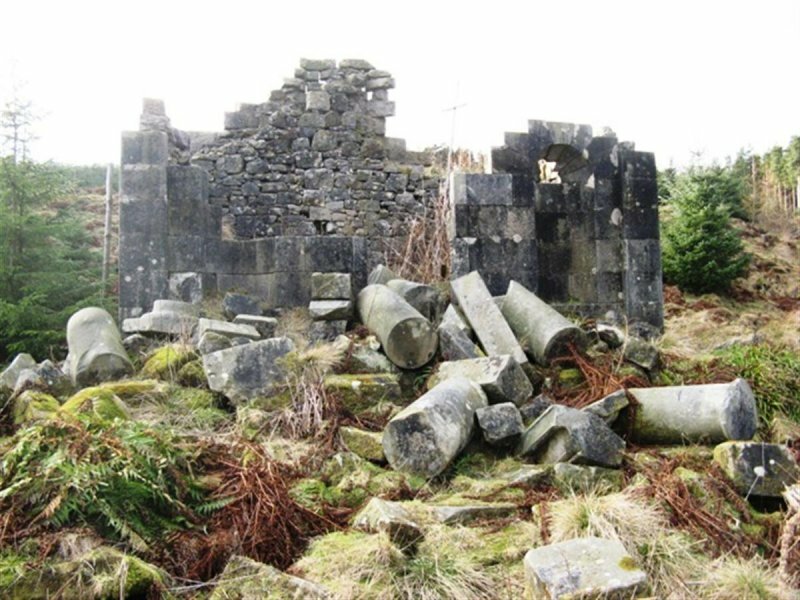 January 2011: External inspection finds no significant change since the last site visit. The building continues to deteriorate and is a cause for concern. 24 May 2014: Site visit attempted but not accessible due to loss of footbridge. 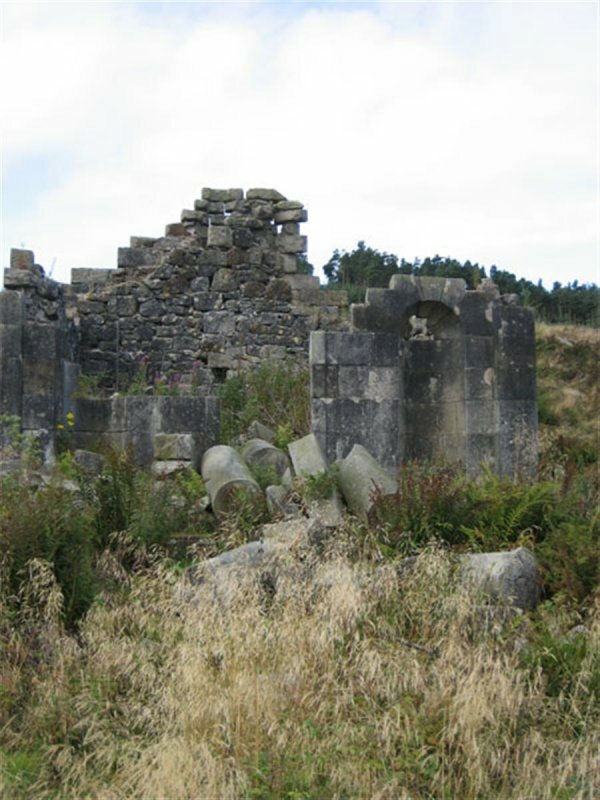 Eastate Factor advises the building remains awaiting restoration. 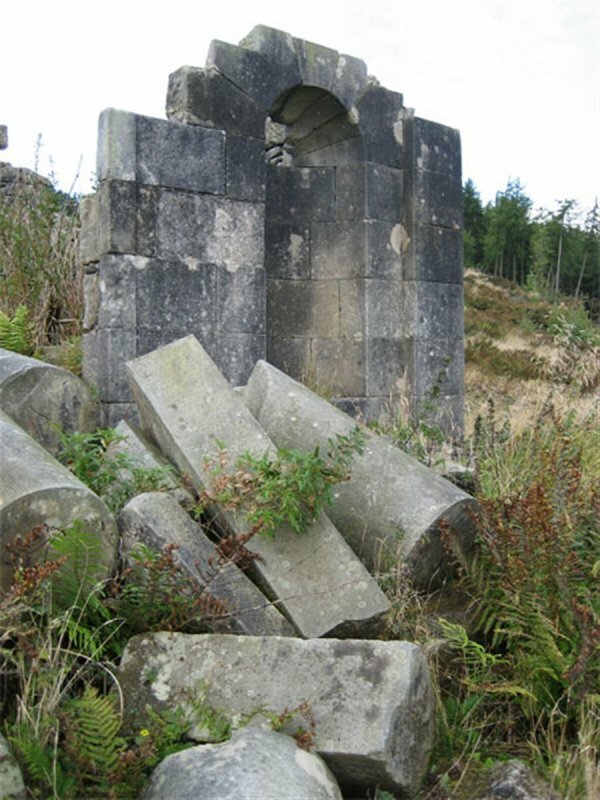 21 August 2018: The temple is understood to have undergone some consolidation works, with the support of grant aid through the Living Lomonds Landscape Programme, in 2016 and is now supported by scaffolding. 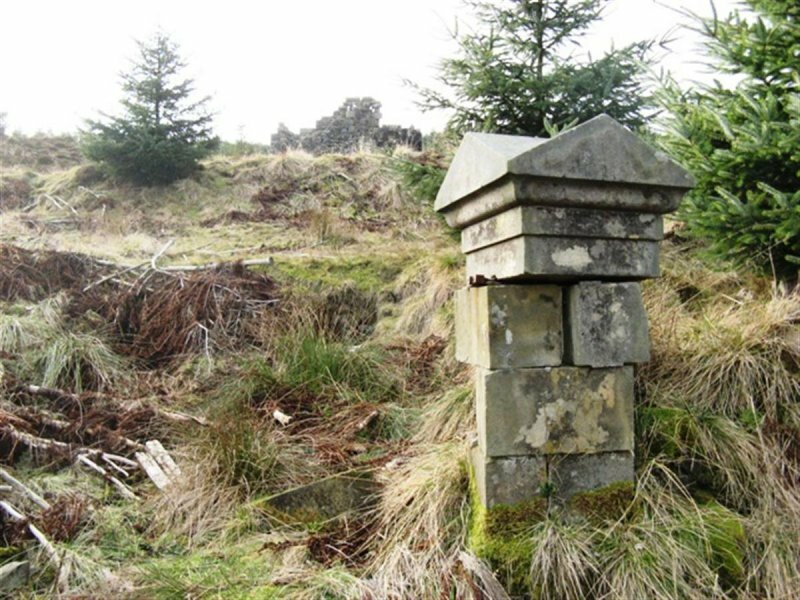 Falkland Stewardship Trust is exploring options for longer-term repairs. Risk level reduced from Critical to Moderate.